I hope you have a great start to the week. I have been photographing last days for the collections I would like to share with you soon but at the same time you wouldn't believe that I am still correcting exams. I received my order from Selfridges that contained the rest of the eye shadow palettes so there will be lots of that and many more, stay tuned. The major difference of Evening Rose and Evening Rose D'Or lies in the fact that D'Or version is less boozy but more fruity during the first whiffs. 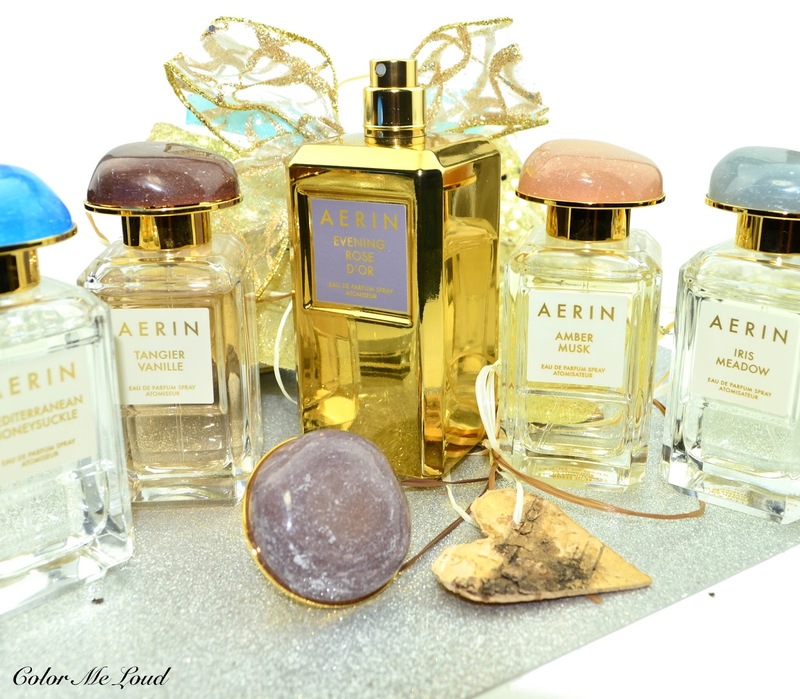 My impression of Aerin fragrances are that, they are always very well blended and wearable. Evening Rose, although it is one of the most intense of the line, is no exception. Pink pepper balances linché wonderfully and the opening doesn't lean too fruity nor too spicy. Cognac which is one of the most interesting notes of the regular version is not listed in D'Or version and I think it is much more subtle if at all present but the complexity in base notes make it up for it. The heart reveals itself with most exquisite of a rose blend, one thing Aerin fragrances can do so well, to me it is proven by having created one of the best rose fragrances in my collection, Rose de Grasse. At its heart Evening Rose D'Or is deeper and more complex than the regular version but for me the improvement is mostly during dry down. D'Or version lasts much longer on my skin, whole day long, with a warm, ambery and slightly leathery base, that smells as expensive as the golden flacon it comes in. Aerin D'Or Collection fragrances all come in 100 ml flacons and retail for 200€ in Germany. This is a little more than 100 ml bottles of the regular fragrances, that cost 150€. I found the golden versions to be much more long lasting with a more complex heart and dry down as well as an timelessly elegant visual appearance. At this price they are definitely a splurge but they promise to dress your vanity in an enchanting way. 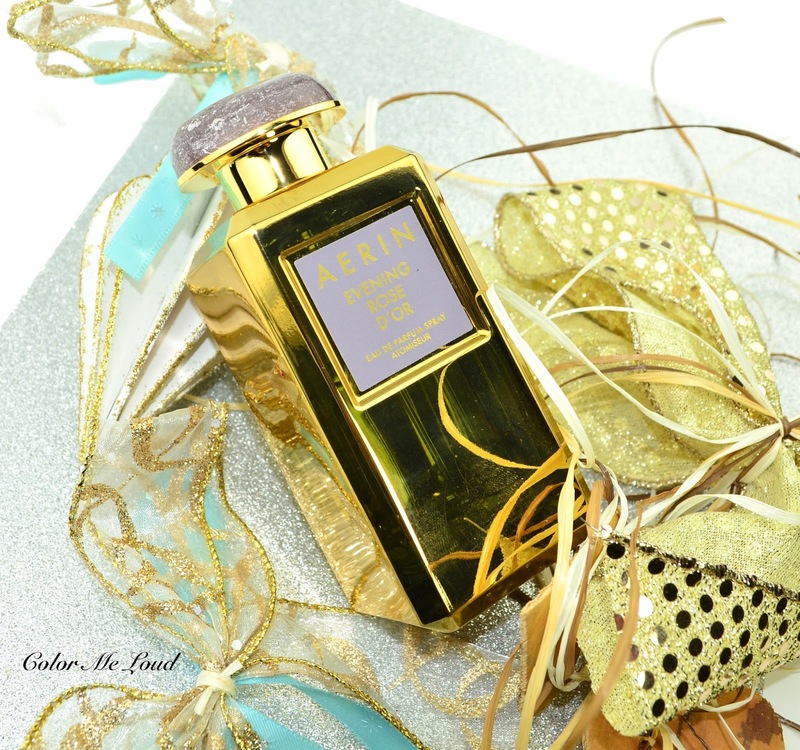 Check out Melanie's blog for a review on Tangier Vanilla D'Or (in German). Final thoughts: The new version of my favorite fragrance in Aerin line-up, Evening Rose D'Or comes in an elegant golden 100 ml flacon and the depth as well a complexity and staying power is even better than the original. Cognac note is more subtle and the base notes are more incensy and leathery once compared to the original. 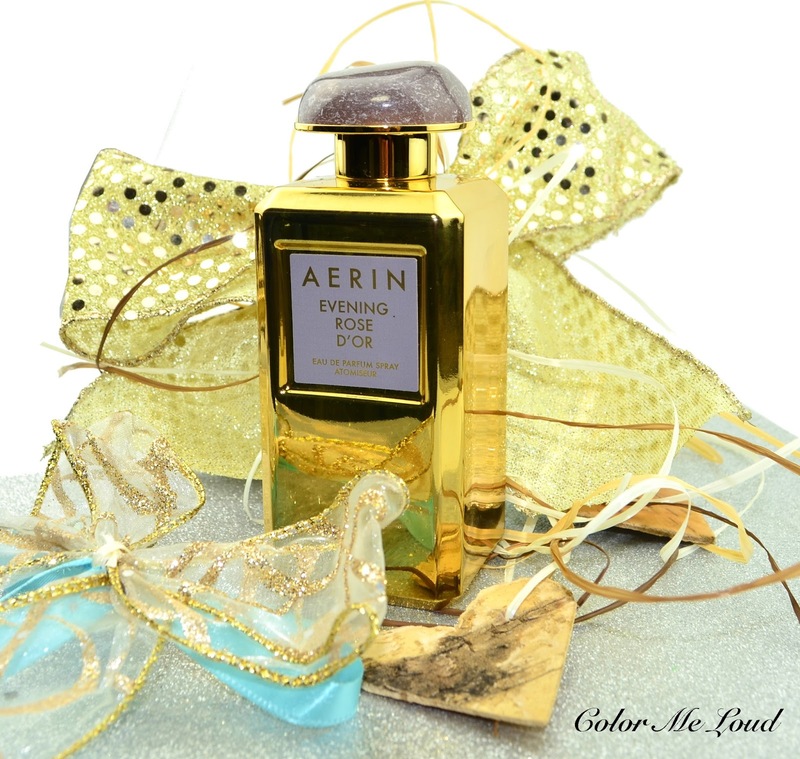 Aerin Evening Rose D'Or is for those who would like a well blended warm rose fragrance with certain intensity and longevity. Golden flacon makes it a beauty over your vanity. Aerin Evening Rose D'Or is now available online and in stores world wide. It will be released in Germany exclusively in Breuninger in Düsseldorf and Stuttgart, KaDeWe in Berlin and Oberpollinger in München, Alsterhaus in Hamburg as well as at esteelauder.de. Which rose fragrance are you loving right now?